Tomorrow at comics shops across North America and the UK DC Comics will be releasing ACTION COMICS #1 (Vol.2) starring a familiar, but not so familiar, character that they are calling Superman. 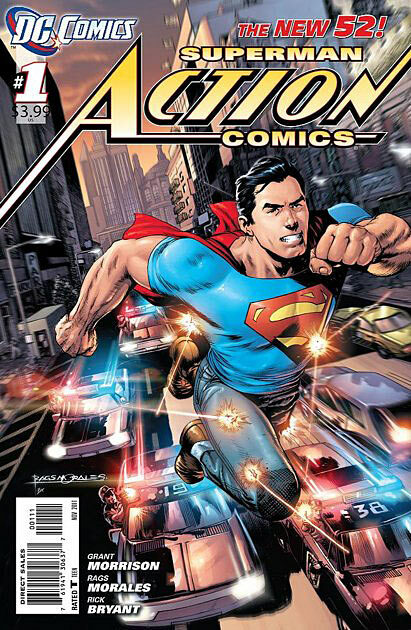 Action Comics will detail his early years leading up to his current “five years later” incarnation that will appear in the similarly restarted Superman #1. Action Comics is written by Scotsman Grant Morrison, with art by American artist Rags Morales. Based on early previews, it seems that this Superman has a lot more in common with Jerry Siegel and Joe Shuster’s original crusader for social justice that appeared in the pages of Action Comics in 1938. He’s also significantly depowered and is only able to leap tall buildings with a single bound and can be hurt by exploding shells. This marks the second time the character has been completely overhauled for a new generation – the first time being in the pages of the 1986 6 issue weekly mini-series MAN OF STEEL by former Canadian writer/artist JOHN BYRNE. 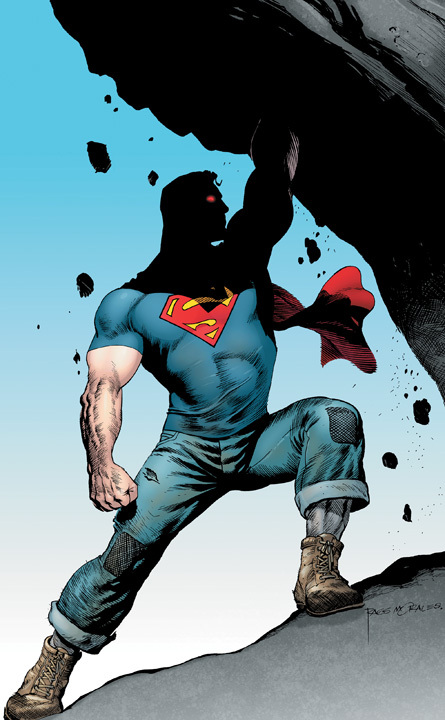 One of the changes Byrne made – keeping Ma and Pa Kent alive, is undone by Morrison for the DCnU and both will be deceased at the time that Superman debuts. The new Superman is visually similar to his previous incarnations, although in this timeline he debuts wearing jeans, a t-shirt and his Kryptonian blanket sewn into his shirt as a makeshift cape. As in the early days of comics, Superman will once again be the first superhuman in the DC Universe. In the pages of Superman and Justice League he will be wearing some kind of armour, similar to the traditional costume but lacking the signature red trunks that were a design hallmark of the 1930’s circus strongmen and trapeze artists that inspired the original Superman. Good or Bad? Necessary or Unnecessary? Jerry Siegel and Joe Shuster’s Superman receives a facelift in ACTION COMICS VOL.2 #1, out September 7th in print and also available online in a day and date digital edition. DC have already announced that the first printing is sold out on the distributor level (not at stores), with over 100,000 copies sold this marks a significant sales improvement over previous monthly issue sales of Action Comics, and only time will tell as to whether this is a short term blip or a permanent change. This entry was posted in 2011 Releases, Canadian Heroes by Kevin A. Boyd. Bookmark the permalink.